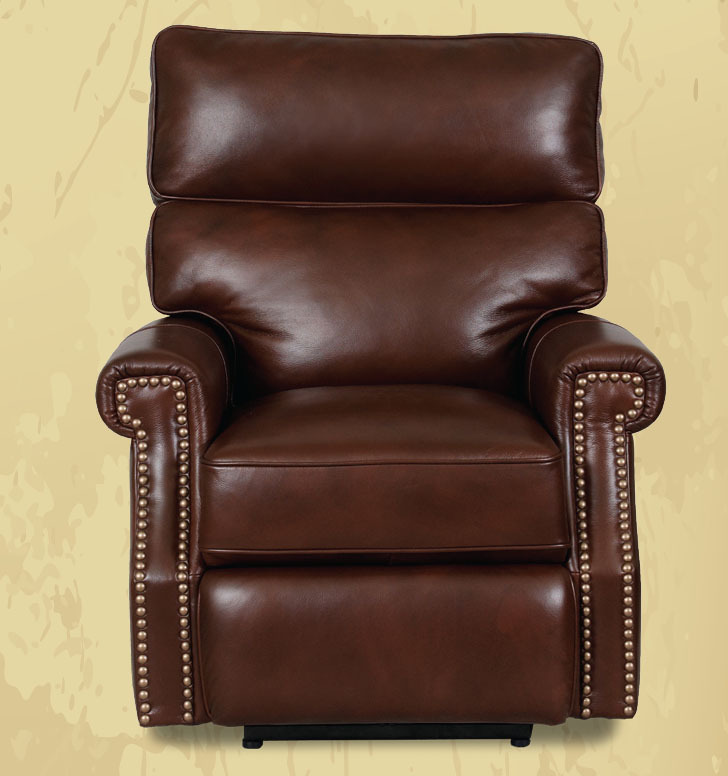 Barcalounger Lochmere II Recliner Chair - Leather Recliner Chair Furniture - Lounge Chair. Recliners, Chairs, Sofas, Office Chairs and other Furniture. 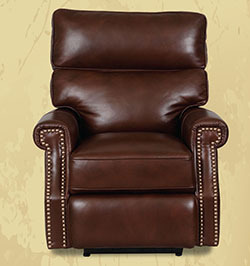 Barcalounger Lochmere II Leather Recliner Lounger Chair - When a new design like this club chair joins the timeless popularity of brass nailhead trim, boxed back and boxed seat cushion enhanced with a pocket coil seat, the luxury of comfort surrounds you. 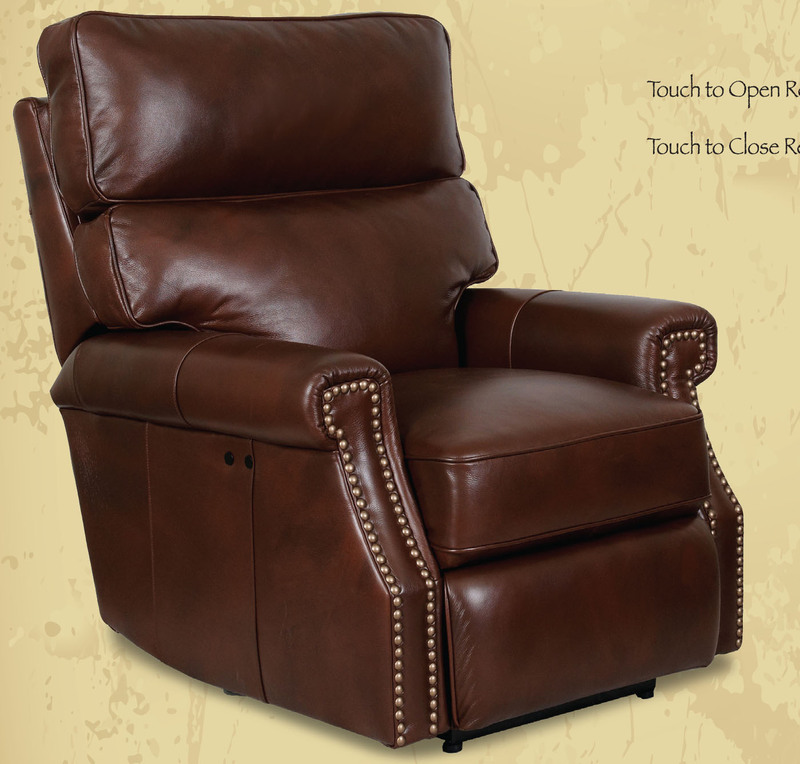 Relax in a reclined position at the touch of a button. Brass Nail Heads. NEW POWER RECLINE WALL PROXIMITY MODEL. 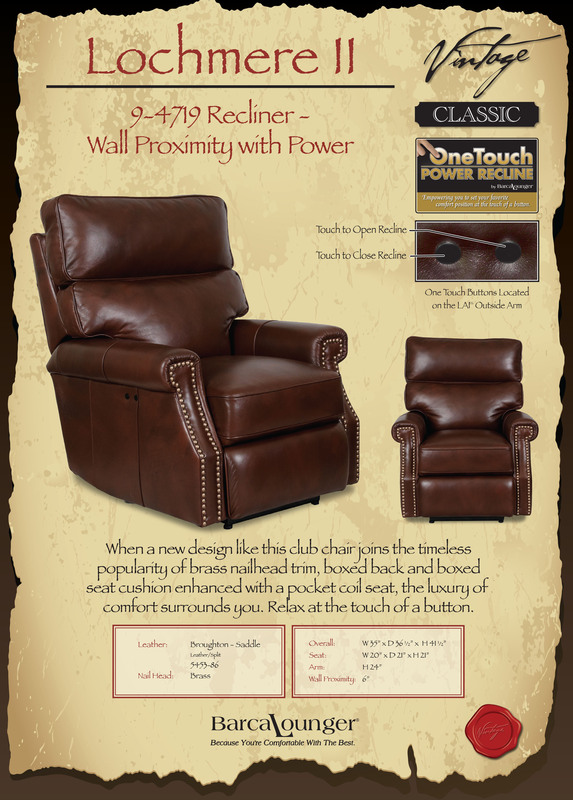 �Only needs 6" from the wall to recline. �Hardwood and Plywood Frames with Mortise and tenion glued joints. �Leathers or Fabrics feature distinctive design and luxurious feel. 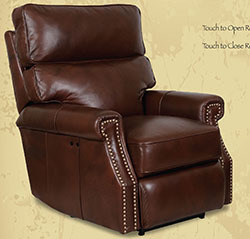 Approximate Seat Dimensions: H 21" x W 20" x D 21"
Electric Recline Chair Weight is 115 lbs - 125 lbs boxed.